Derivatives reporting in Canada, while comprising its own nuances and technicalities, is remarkably similar to CFTC reporting under Dodd-Frank. Both are single-sided reporting regimes, both require the reporting of trade information in real-time (“creation data” in Canada) and the full transactional information at a later stage (“derivatives data” in Canada), and both require over-the-counter derivatives across all asset classes to be reported. Despite these similarities, the way the legislation was implemented in Canada is quite different to that in the USA, or indeed from any other major financial centres. The regulation was enacted in separate instruments for each province, and there were two separate launches of derivatives reporting in different provinces. The first of these was for Ontario, Manitoba, and Quebec, and the latter phase consisted in the other provinces and some territories. Whilst it was enacted separately in each province, efforts have been made to ensure consistency of reporting across all regions covered, with a unified list of regulatory fields, guidelines for reporting, and the same scope of firms and asset classes covered. Indeed, the main additional Canadian requirement on firms is to identify to which regulator a particular trade should be reported to in each record submitted to a trade repository. For more information on the firms, timelines and other details regarding Canadian derivatives reporting, please refer to the UnaVista Canadian reporting regulation page here. Firms with reporting obligations in multiple jurisdictions including any of the Canadian provinces can use the UnaVista G20 Reporting solution to fulfil their reporting obligations under these multiple jurisdictions efficiently, using a single format for reporting. UnaVista has partnered with the DTCC GTR, who maintain an designated trade repository for the major Canadian provinces, to submit transaction reports in the requisite format. 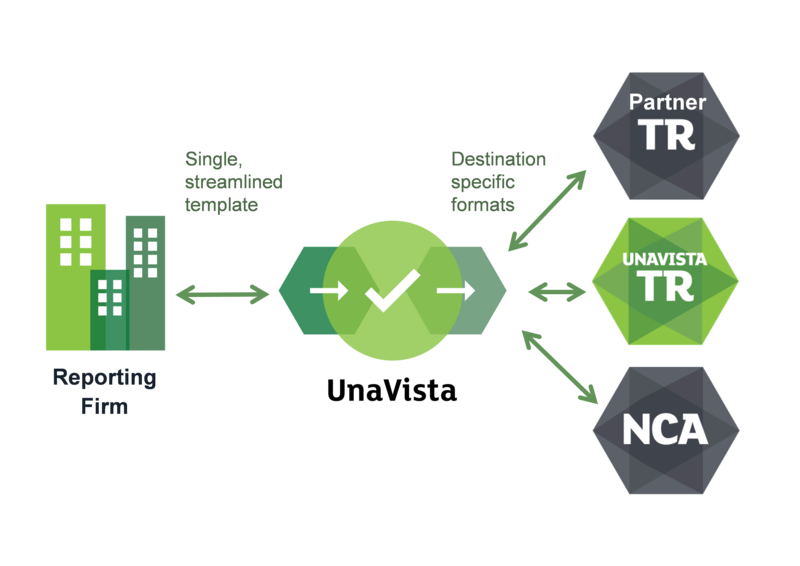 The UnaVista G20 Reporting solution can be used to route to the DTCC trade repository, performing all the requisite transformations and mappings in the process. Save resources when conforming to multiple different data requirements. UnaVista offers a reporting format with no more than 150 fields for all asset classes across all reporting jurisdictions. The UnaVista G20 Reporting solution can be today used for Canadian reporting, to the CFTC, ASIC, MAS, the Bank of Israel, under EMIR, FinfraG and other reporting jurisdictions. A highly configurable software solution, it can be deployed alongside our suite of Rules Engine software capabilities to reformat, enrich, and transform data as required should firms require assistance transforming the data into the required format for the destination repository. As a highly regulated entity itself, the London Stock Exchange Group already undertakes regulatory reporting on its own behalf. On top of this, we also operate the UK’s largest MiFID ARM, and an award-winning EMIR trade repository. We bring this regulatory expertise to bear in our excellent reputation for compliance, security, and thorough analysis of reporting requirements, resulting in reliable, efficient products and services. Our products don’t just meet regulatory requirements – they exceed them, reducing the risk of incorrect, late or duplicate reporting. You can submit reports in any structured format, UnaVista’s advanced technology then ingests the data, displays that data in a unified way for manipulation and then disseminates that information to regulators or counterparties in the desired format. This reduces the need for expensive middleware. UnaVista does all the mandatory validation you would expect. But it also validates the data by checking it against the reference data sources you choose, such as ESMA’s list of regulated markets, MiFID eligible securities and the London Stock Exchange’s SEDOL Masterfile where appropriate. UnaVista offers a whole suite of exception management tools to manage records that have failed validation. You can set different levels of access for individuals or groups, so people only see the information you want them to see. You can also set as many mandatory audit steps as you like. As a result, you’ll know that the right checks are in place. You’ll also have a full audit trail if you need to check back over things at a later date. Regulatory authorities encourage firms to regularly review the integrity of their transaction reporting to ensure they have been successfully submitted. UnaVista assists with this process by enabling firms to reconcile between their own back-office data, the data held by UnaVista and the data held trade repository thus enabling firms reduce regulatory and operational risk. You can receive alerts based on your custom tolerances and thresholds for things like transaction volumes or transaction size. This ensures you are never surprised late or by a problem of which you were unaware. You can use UnaVista to monitor trends within your reporting, helping you identify where errors are recurring. You can use UnaVista to take a snapshot of all your transactions at any time, choose from a variety of report templates, or create your own custom report. You can even include a variety of charts from the customisable dashboards. If you want more information, please fill in your details below.